It’ll still come in the iconic six flavors: raspberry red, lemony lemon, orangey orange, wildberry blue, “grapity” purple, and watermelon. General Mills also tried to change the cereal’s artifical coloring in recent years, but customers were so upset that the company opted to keep the bright artifical dyes. One of your favorite old cereals just got a ’90s-inspired makeover. 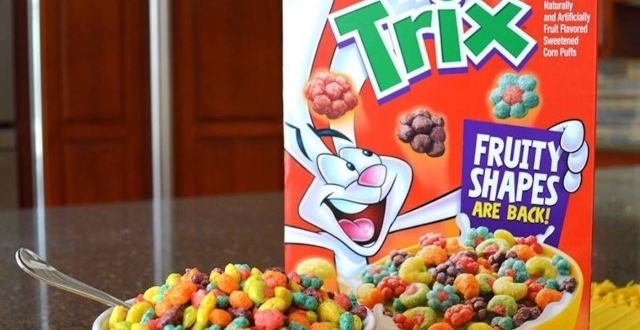 It might not be as healthy as actual fruit for breakfast, but long-beloved Trix cereal is once again sold in fun, fruity shapes. The last time fans saw little puffs of grapes, orange slices, and berries in their bowls was in the 1990s and early 2000s. But after receiving over 20,000 requests from nostalgic customers, General Mills (the company that owns Trix) listened to the crowd’s demands. 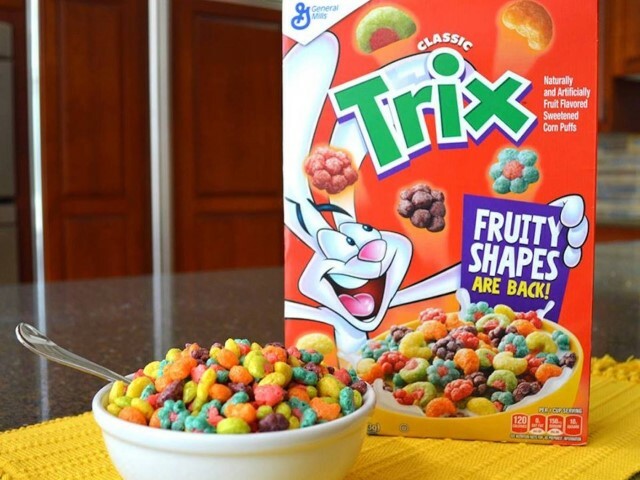 Classic Trix Fruity Shapes are back! #TrixShapesAreBack Get the full scoop on our blog (click the link in our bio)! This most recent change seems to be part of a sweeping trend of ’90s nostalgia. Other recent snack releases have been inspired from the decade, like Reptar Bars and Planter’s Cheez Balls. What’s next? Here’s to hoping it’s more of these discontinued, but beloved, snack foods from your childhood.